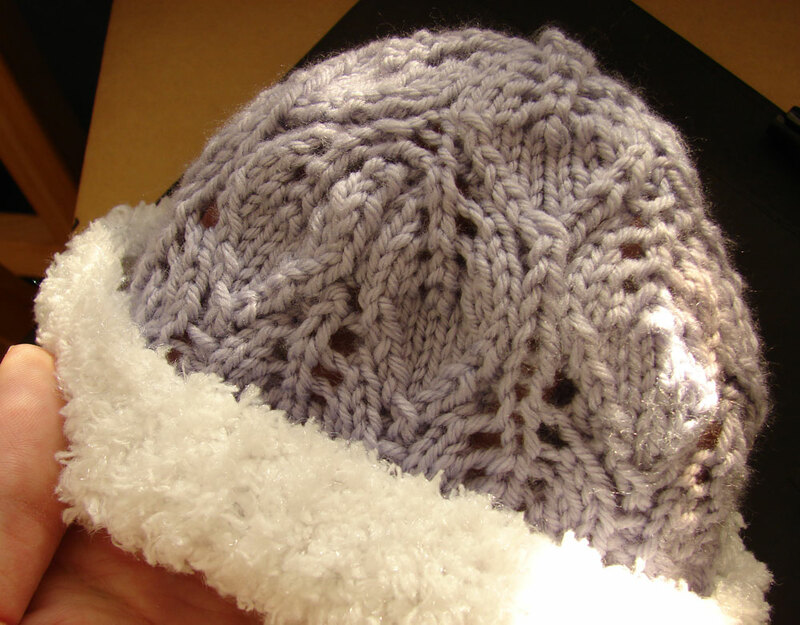 Once again, the pattern is Baby Leaves Baby Hat, free on Ravelry. Doing the brim in the fluffy yarn was my modification, I just switched to that yarn when I reached the k1p1 rib and continued until it was long enough. This was a while ago and I honestly can't remember. I would have given the label to the parents for the washing instructions, so don't have that. Sorry.